Wood.Stone.Steel. is a Bucks County-based Building and General Contracting firm that serves the Greater Lehigh Valley as well as Upper Bucks County. Our passion for developing out of the box solutions for the average homeowner is what has driven our success for nearly 20 years. We understand clients needs and love finding creative and innovative ways to meet those needs while accounting for both form and function. Old world timeless craftsmanship, attention to detail, thoroughness, respect for the art and tradition of fine home building, this is what you will find when working with Wood.Stone.Steel. If you are looking for a high level of personal attention from a time-tested professional company, then call us today and schedule a zero pressure introduction. We are an innovative leader in the fabrication of natural stone, quartz and solid surface products. We combine a high-tech production facility, outstanding customer service & old-world craftsmanship. Eastern Surfaces is an innovative leader in the fabrication of granite, marble, quartz and solid surface countertops for both residential and commercial use. We combine a high-tech production facility, outstanding customer service and old-world craftsmanship to ensure the finest quality countertops for your home or business. Restoration Services is an award winning company in restoration and renovations of older buildings. For two decades, we have been the Lehigh Valley's old house experts. 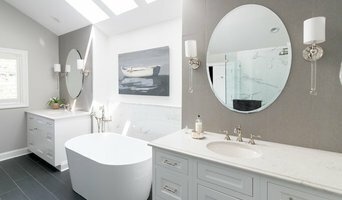 Best of Houzz 2017 & 2019! MacLaren Kitchen and Bath is an established custom Kitchen and Bath company that specializes in single source one-stop shop service. We provide cabinetry design and install, along with complete in-house manufacturing and install of Natural Stone, Quartz and Corian countertops. 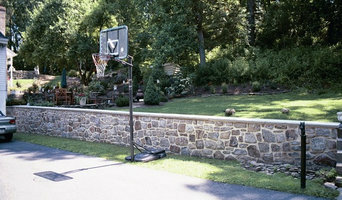 A full service company that showcases our capabilities at our West Chester PA location. Complete with modern and up to date show room, Large Indoor Natural Stone and quartz Inventory , along with everything you need to create the kitchen or bath of your dreams right under one roof. Come visit our showroom! At Pappas Landcare and Construction, our goal is to build a reputation based on high-quality workmanship, value, and completing your project on time. Cement tile company with a passion for color ❤️ Over 200 designs in stock • custom designs & colors available → Located in Marlton, NJ & Richardson, TX LiLi Cement Tiles is an exclusive brand of handmade cement tiles stocked in both Marlton, New Jersey and Richardson, Texas with certified dealers all over the United States & Canada. LiLi Cement Tiles offer a vibrant, colorful, unique selection of over 180 patterns of hand-crafted cement tiles with complete customization capabilities. LiLi Cement Tiles are made using natural color pigments, Portland cement, and marble powder, making them an environmentally sustainable choice for flooring solutions. LiLi Cement Tiles can be used in both interior and exterior applications. Please visit www.lilitile.com for more information. Chester County CraftWorks is a creative building and design solutions partner that harnesses its passion for the trades with the big visions of its customers. From furniture and cabinetry to home renovations and fireplaces, we bring artisan quality and authentic craftsmanship to every project — taking pride in the opportunity to contribute to our clients' homes. We combine the arts of masonry and carpentry to offer unique perspectives and dynamic design solutions. Moreover, CCCW revives the lost art of customer service by consulting with our clients to provide a truly special experience; a one-of-a-kind journey that delivers not just a final result, but a fun and fond memory. Our clients benefit from our philosophy to not necessarily carve our own niche, but to instead be inspired by their unique ideas. You can choose our level of involvement in the vision of your project — knowing that we're most interested in what makes you tick. Joined together after collaborating on an outdoor patio project, our highly-skilled and experienced team proudly serves each client with purpose, pride and enthusiasm. Love Tile and Marble, LLC is dedicated to the professional installation of Ceramic Tile and Natural Stone products that bring quality and beauty to your home or business. We seriously love what we do. Bella Tile and Stone is the premier installer of all types of tile and natural stone. We are independently owned and operated and provide everything from the estimate to personally installing every tile. Bella Tile and Stone prides itself on our attention to detail, hardwork, and communication. Your home will be treated as if it were our own. With over 17 years experience in custom tile and marble work, you can be sure you are getting the highest quality of craftsmanship at a fair price which is why so many of our clients are repeat customers. A to Z Improvements is a full service remodeling, renovation, and repair company that has become to go to in the greater Lawrenceville area for high quality craftsmanship adjusted to meet your specifications and needs, regardless of the extent of the work you need done. As a family-run business, we are committed to providing our clientele with a more personalized service that makes your bottom line our top priority! Eduardo Cordeiro has been working in the Construction Industry since 2004, completing a wide range of various projects. 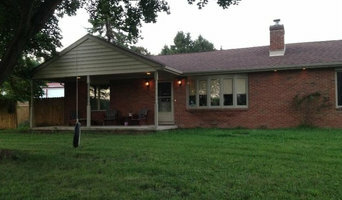 Beginning in 2013, he added full property renovations to his list of services. He has been extremely successful working with investors due to his keen eye for design and impeccable taste. What clients love most about working with Eduardo is his attention to detail and his desire to make sure his customers receive the highest quality of work. Eduardo currently lives in Phoenixville with his wife Juliet and their 2 daughters, Sofia and Victoria. Cordeiro Construction specializes in high-end home renovations, remodeling and rehabbing. What distinguishes us from others companies is our complete commitment to client satisfaction; we work with every client to ascertain their needs and goals. Then we work hand-in-hand with them until their dreams are realized. We are the initial point of contact for every customer, no matter how small or big the project may be. To us, a satisfied client is the only client we want to have. Metric Concrete Construction & Design Inc. Welcome to Metric Concrete Construction & Design Inc. We are Tri-State area's specialist in Decorative Concrete, Polished Concrete, Resurfacing and Hardscaping. Metric is a pioneer and leader in the Tri -state for decorative and polished concrete. We have a waterproof concrete resurface system that saves you from replacing concrete. Metric Concrete Construction & Design is an all phase concrete and masonry company. We believe it is important to specialize in one construction trade and to master it. Metric Concrete Construction & Design Inc. has proudly provided excellent service to Pennsylvania, South jersey, and Delaware residents for over 26 years. Metric will design, coordinate, manage, and build your project with expert project management, from start to finish. Each project has a specific project manager assigned to ensure the highest quality or service to every customer. We work closely with homeowners, designers, architects, and builders to provide exceptional service and quality of work. Metric Concrete Construction & Design employs master mechanics and highly skilled apprentices to construct your project. Our employees are courteous, professional, and clearly enjoy their trade! We would love the opportunity to talk with you. We offer free estimates and design service. C.P. Home Improvement LLC is a female owned and operated business. With extraordinary communication, excellent customer service and quality work. C.P. Home Improvement LLC works with custumers busy schedules and tight budgets to achieve their ultimate vision! Call today for a FREE estimate! Everything from design to finish for over 31 years. Founded in 1986 to fill the need for high-quality craftsmanship in the construction industry, our clients have come to JMF Construction, LLC for the finest in construction, finish carpentry, woodwork, kitchens, bathrooms,basements, custom cabinets and remodeling. We build things your children will fight over when you die! Granite Galleria is a custom fabrication facility where our focus is solely on you. Our friendly and knowledgeable staff will work closely with you, providing the dedication, design advice and sales support that you deserve. 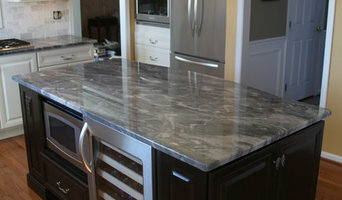 Flemington Granite manufactures, supplies and installs the finest in kitchen and bathroom countertops. We offer a wide selection of products from granite, marble, soapstone, slate, limestone, quartz, sinks and tile. Our 2000 sqft showroom profiles the latest trends in stone and color designs, along with our expanding tile lines, we offer an array of options to fit your needs. Flemington Granite is a division of a family owned manufacturing firm that has provided five generations of premier service in the concrete, masonry and stone industry since 1918. Our high standards of integrity and experience is what sets us apart and enables us to provide the utmost in quality products and customer satisfaction. In addition to superior products and services, we also offer a vast selection of natural stone, along with a knowledgeable professional sales team. All the services we provide, from design through installation, are completed by our experienced production staff. You can rest assured that our commitment to quality craftsmanship will exceed your expectations. At Flemington Granite we are confident and committed to ensuring our customers will be satisfied with all aspects of their experience with us from the initial meeting to successful installation. We look forward to the opportunity to service all of your indoor and outdoor natural stone needs.